With so many sizes, designs and options available with storage trailer, it is important to do a thorough research to know what you truly need. It does not make much sense to spend so much on accessories and options that won’t be used to their full potential. However, you may want to reconsider and make room for any potential growing needs. A storage trailer is a worthwhile investment that will be used to transport your valuable equipment including cars, motorcycle and cargo that’s important to your home or business. 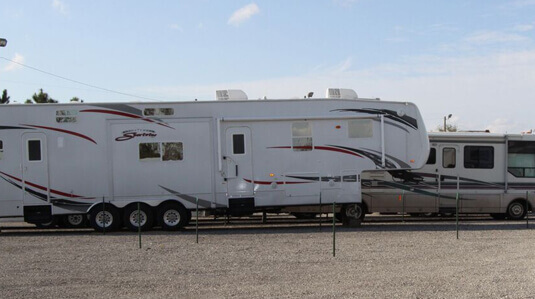 Here are some basic tips on how to find the right storage trailer for you. The first thing and basically the most important of all is asking, what will you be using storage trailer for? By so doing, you will know the right size to choose and the options you need. For instance, if you need a trailer for your handyman business such as hauling your tools and materials, then you may need a small sized trailer. On the other hand, if you need a trailer for transporting your vehicle, then you need something bigger with a ramp door for increased safety. The next thing to consider is the travel distance. If you are going on a short distance trip with your handyman service, then choosing standard options will do just fine. However if you are going across borders, then you need a storage trailer with more advanced options to enhance the safety of your shipment. For long distance travel, choose a storage trailer with mounted spare tire, LED tail lights, stabilizers and tie downs and a door hold back latch. Your choice of storage trailer will also be determined by the type of cargo you will be hauling. Basically, this will influence the options for the trailer’s interior. If you are transporting temperature sensitive cargos, then you need storage trailers with air conditioning to regulate the temperature while in transit. Furthermore, you may want to consider the height of your storage trailer especially when carrying oversized cargo. What purpose will your storage trailer serve? If you are using it for marketing your products or services, then you need to customize the exterior with your business name, images, logo and photos among other things. A custom detailing service provider can do this for you. If you are looking for the best transport option to transfer your valuable equipment and products to and from a warehouse at loading dock level, storage trailers is the ideal option. Rental storage trailers are usually maintained overtime. However, the maintenance is dependent on how often the storage trailer is being used. Regardless of your budget, you will find the right storage trailer for you. In order to save more, do not choose accessories or options you probably don’t need and won’t use. It is possible to get reliable and efficient storage trailer with the options you require and within your budget.